Is your coach retiring or leaving his current position? Is he coming up on a career milestone - whether it's the number of games won or number of years in his position? Commemorate his career with a custom bobblehead! 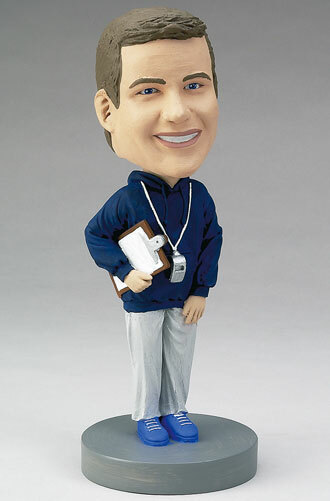 This doll comes with a whistle and clipboard, but he can be personalized with other accessories, team colors, or other details. Engrave the base with his track record, team name, or other sentimental words for him.